We will help you to make you spend an unforgettable stay. Look at the photos of our external and internal structure. See the rates divided by "high season" and "low season". 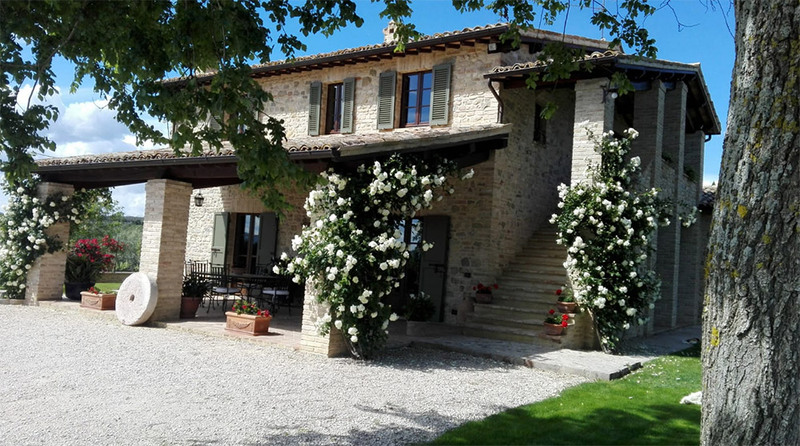 Immersed in the green Umbrian hills and surrounded by vineyards, is the B & B Casa Laura. 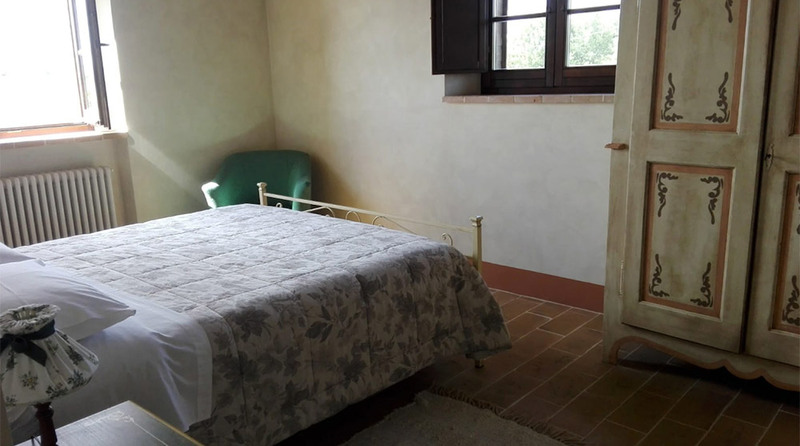 The old farmhouse completely renovated, offers all the comforts and is the ideal place to relax and visit the principal cities of Umbria as well as the beautiful town of Montefalco. 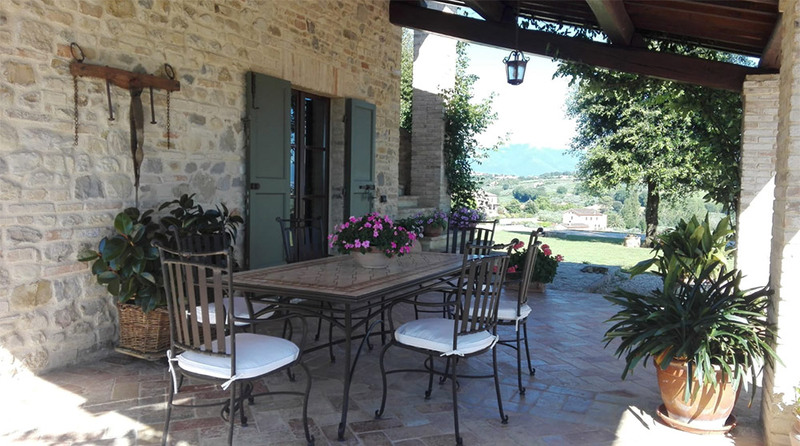 Much of its charm Montefalco it owes to the geographical position that has earned the nickname 'the Balcony of Umbria'. From his viewpoint we discover a part of Umbria and admired all around the centers of Perugia, Assisi, Spello, Foligno, Trevi, Spoleto, Gualdo Cattaneo, Bevagna farther you can see the mountains of the Apennines, the mountains and Subasio Martan, but are close, green undulating hills covered with olive groves and vineyards to hit more. The compact circle of its medieval walls, interspersed with towers opens the doors of Frederick II, of St. Augustine (with the tower by Ghibelline battlements), Camiano, and the Fortress of San Leonardo. Also famous for its frescoes of its churches, which make it an essential reference point for understanding the Umbrian painting. Furthermore, its sanctuaries are in religious tourism, an important step, yet to be discovered almost all of the Umbrian spirituality. 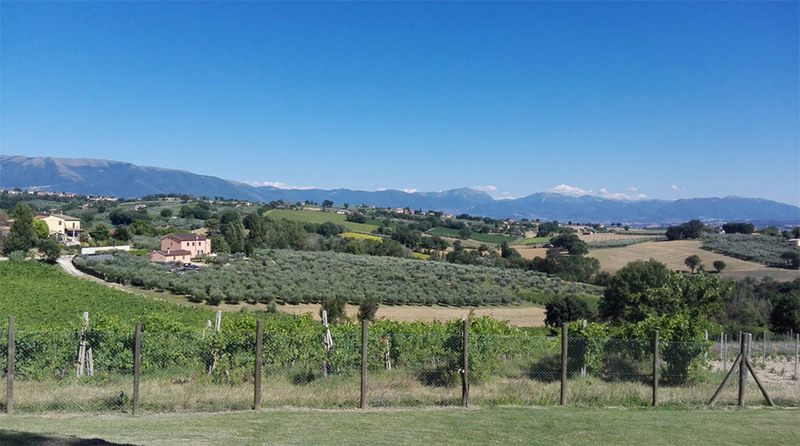 Montefalco was inhabited from the remotest antiquity.